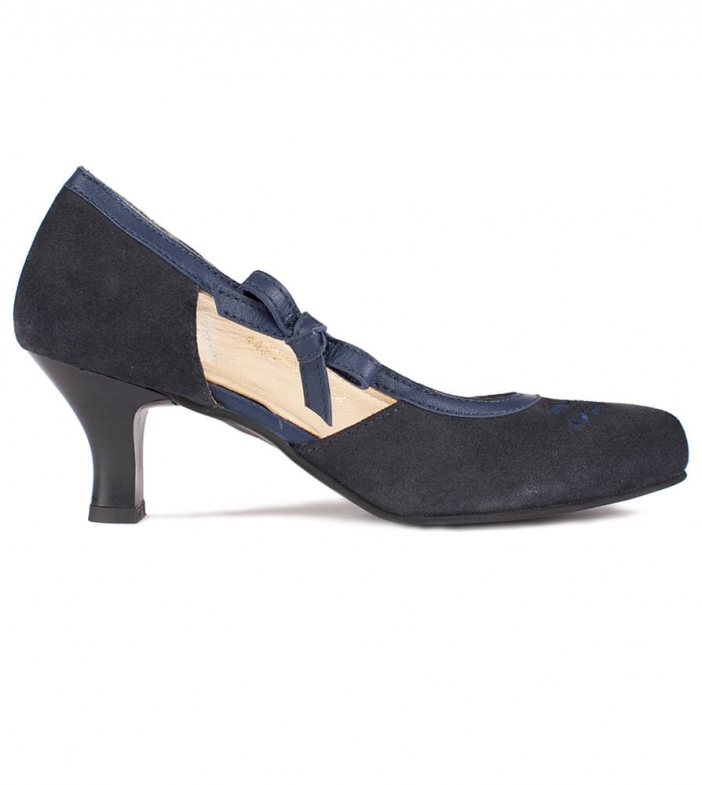 Gorgeous navy suede pumps with side bow. These traditional Dirndl shoes are beautifully embellished with glistening floral embroidery. The suede vamp is lined with navy leather piping, which is subtly adorned with a leather bow that catches the eye and draws the attention to the cut-out section of the shoe underneath. Pair these shoes with a simple navy blue and white checked shirt, and enjoy the admiring glances at Oktoberfest. Würde ihn immer wieder kaufen. Gute Verarbeitung, bequem und wunderschön am Fuß. Sehr schnelle Lieferung.